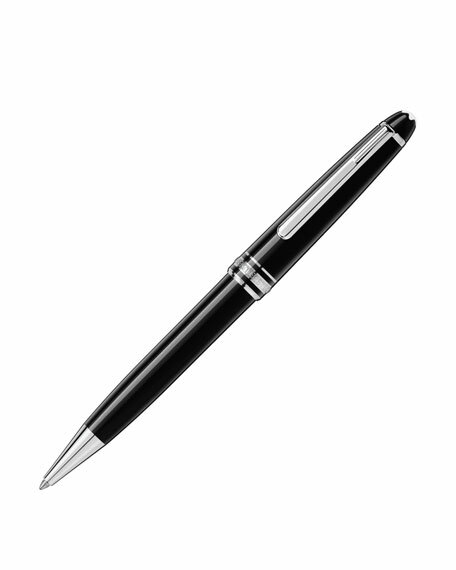 Montblanc pen with platinum-coated details. dunhill "Sidecar" textured pen in wave pattern. Rollerball for precision writing. Palladium-plated brass hardware. Cap shape inspired by English pillar box. Screw-on cap with vintage Alfred Dunhill logo detail. Functional spring clip. Made in Switzerland.